Your home should reflect your personality. 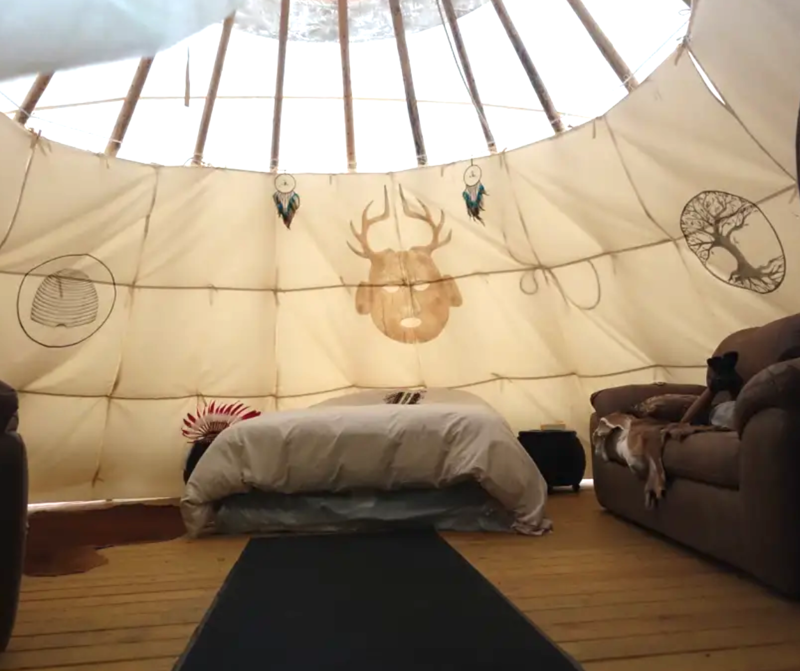 Some prefer vast space, while others opt for a tiny house. For those with extraordinary preferences, a distinctive home is that only thing that will fit the bill. What makes a home unique is relative, but there are some that without question will turn heads as one-of-a-kind abodes. 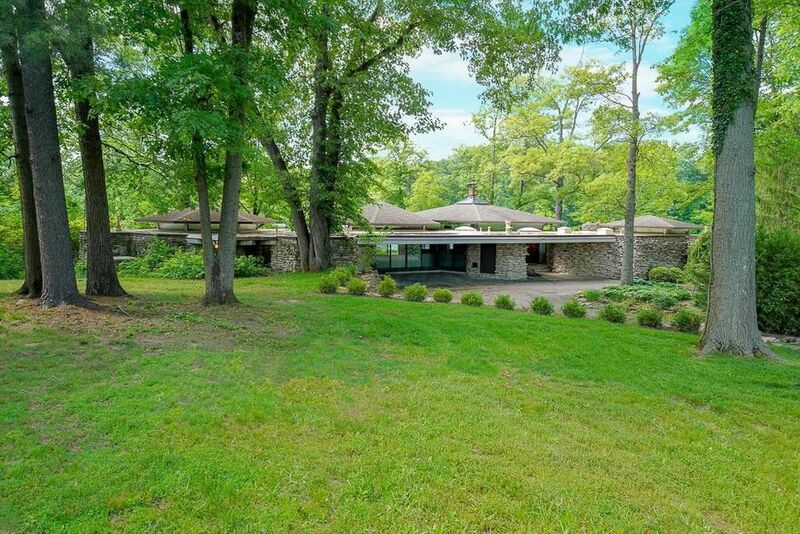 We’ve compiled the largest list of unique homes in Ohio for you to peruse. 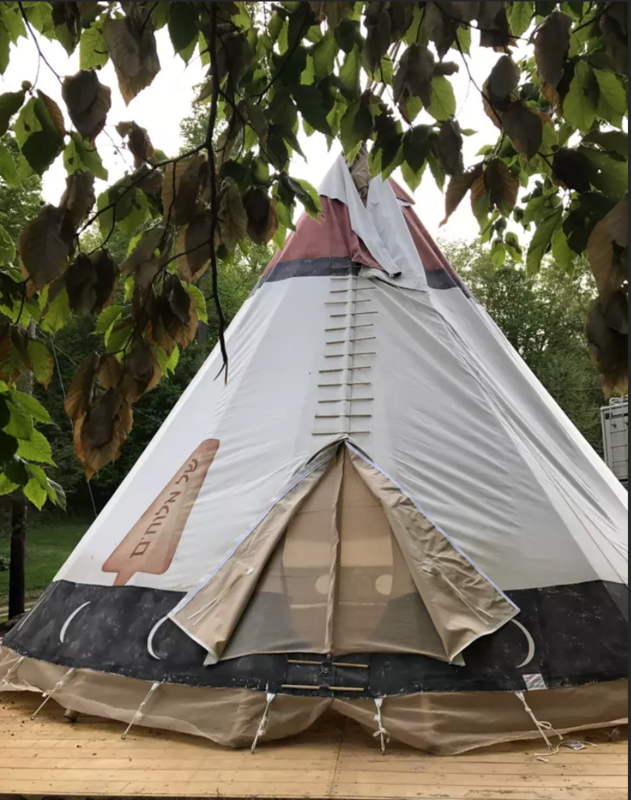 And if you’re seeking a unique place to live check our some of our current homes for sale in Ohio. 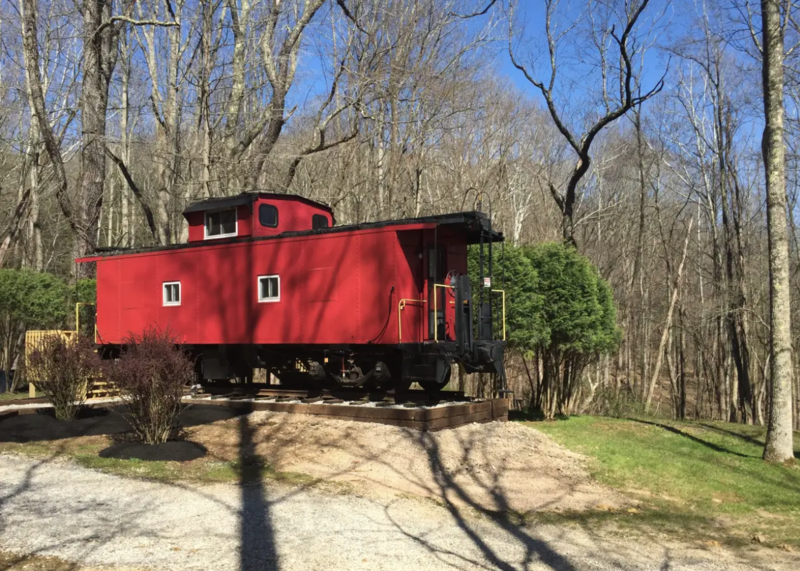 The first group of unique homes on our list include one-of-a-kind historic homes, found throughout Ohio. 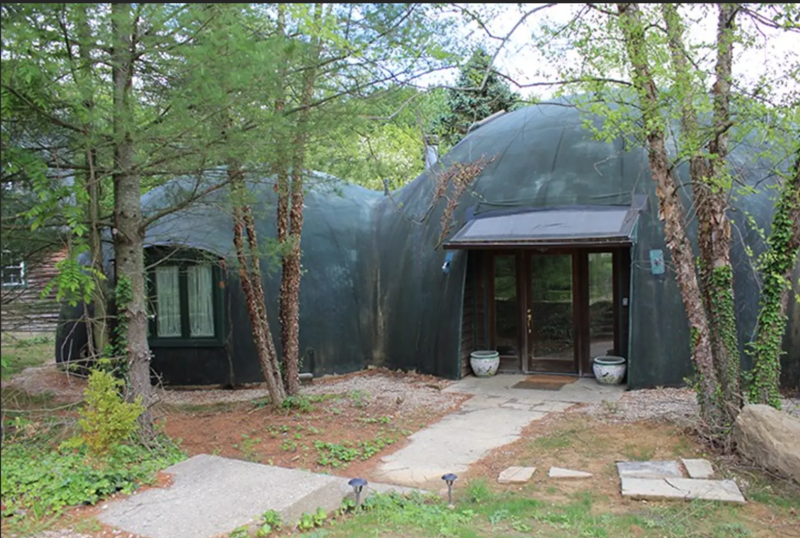 The Mushroom House is always at the top of any list of unique homes, created by Architecture Professor Terry Brown and his students from 1992 to 2006. The structure combines whimsy, art, and organic elements for a house like no other. 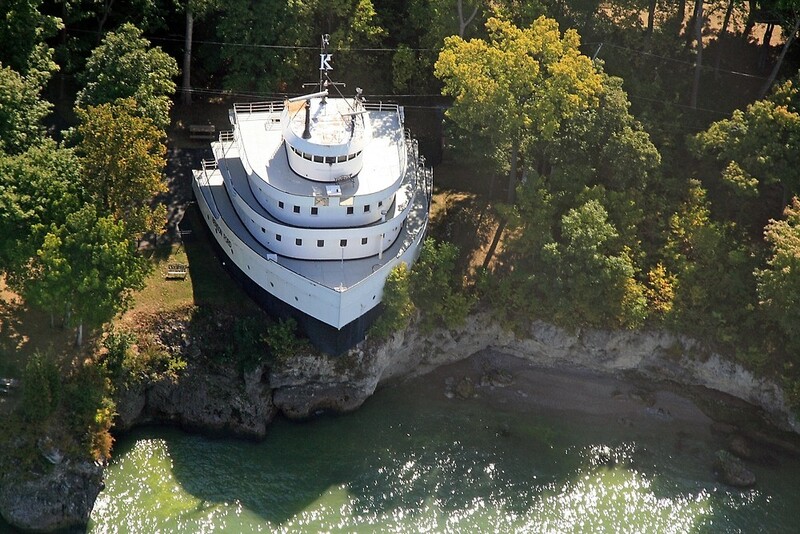 Originally a Ford Motors cargo ship, this houseship was converted into a 7,000 sq foot, four deck home perched over a cliff on Lake Erie on South Bass Island. 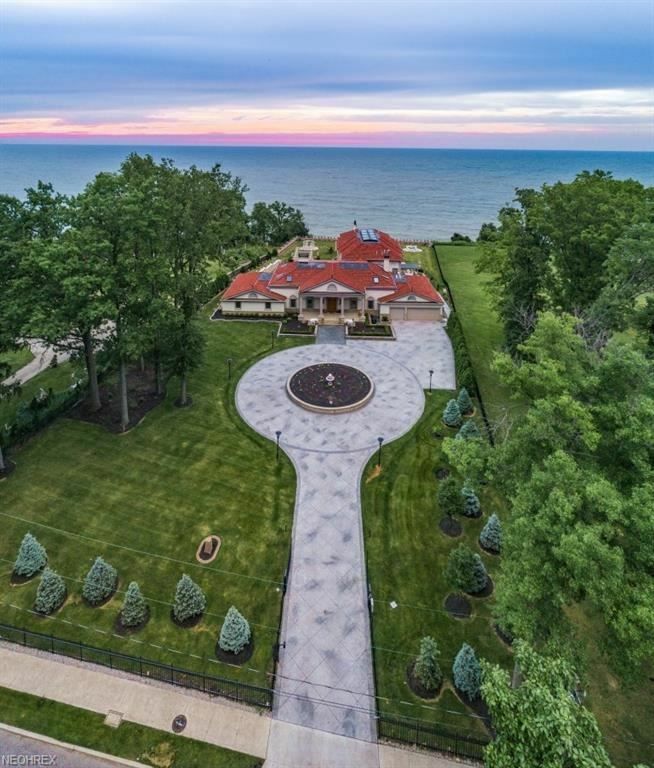 Featured on countless television shows, the 7 bedroom home is not only one of the most unique homes in Ohio, but the entire country! 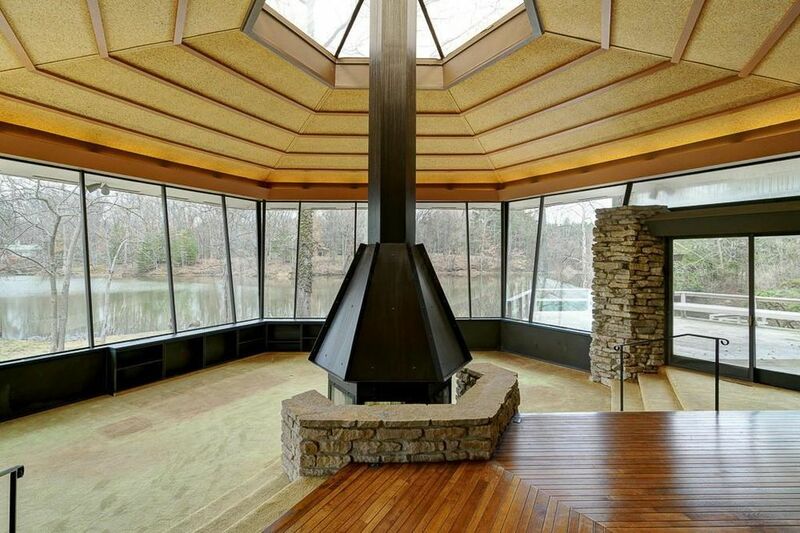 Designed by artist Wayne Trapp and built from concrete and spray foam in the 1970s, the Flintstone house remains a private residency today. 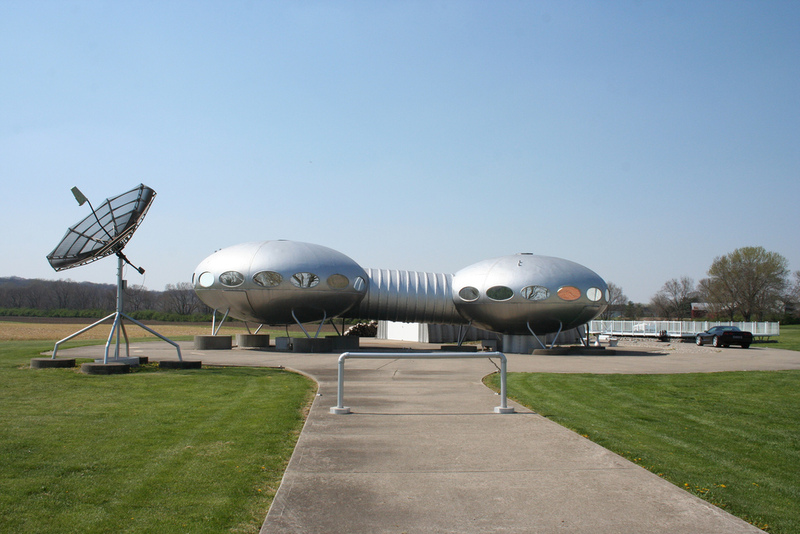 Created by Matti Suuronen in 1968 as a portable ski chalet, the home’s design was based on the number pi, though most see what appear to be two spacecraft connected to one another. 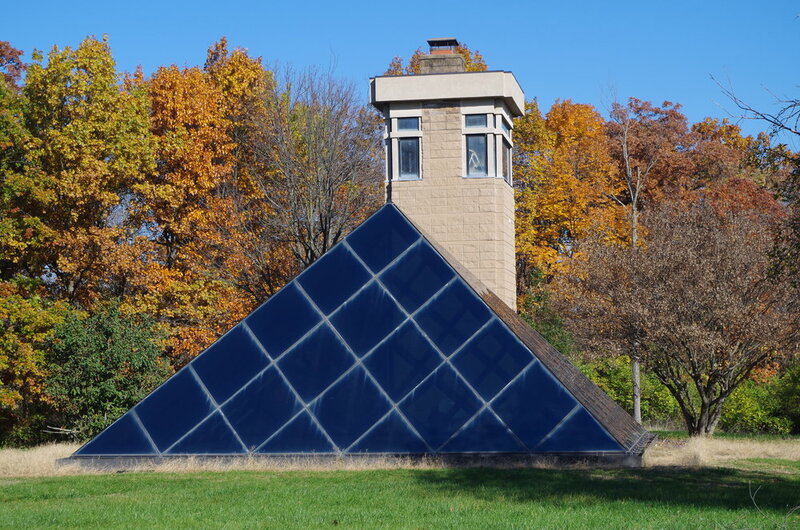 Before the Pyramid Sculpture Park was created this underground pyramid home, served as the residence of Harry T. Wilks. 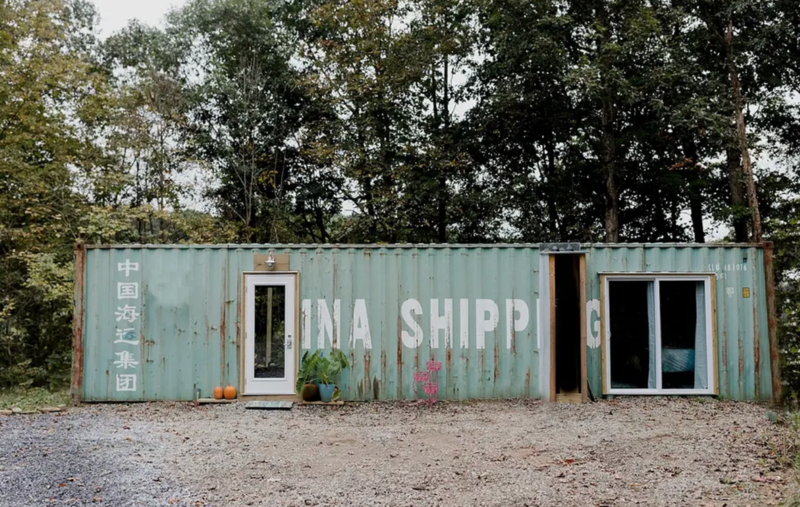 He slowly began to acquire more land to develop the non-profit sculpture park to combine the beauty of nature with artwork. Once an emerging architecture trend in the 1850s, very few octagon homes remain, certainly not as well restored as the Lane Hooven house. 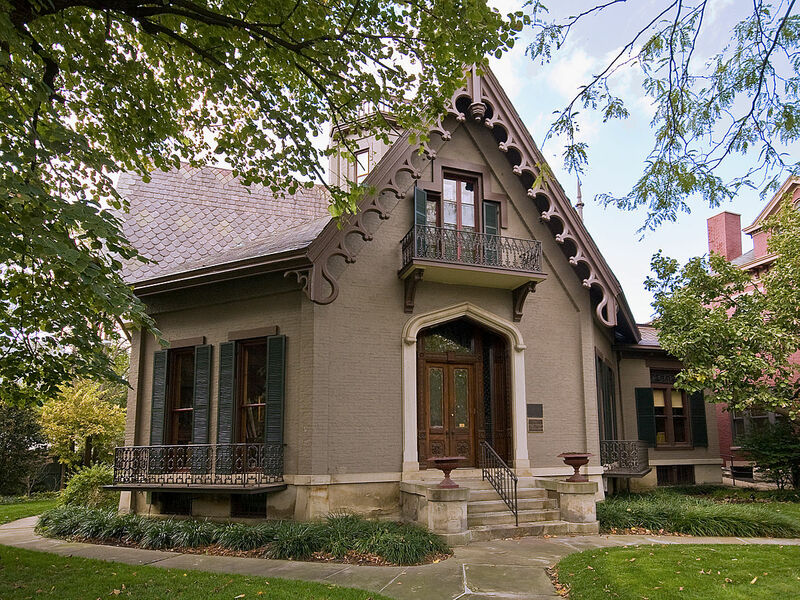 Designed to optimize space, the Lane Hoven house features a unique central spiral staircase and was originally home to industrialist Clark Lane. 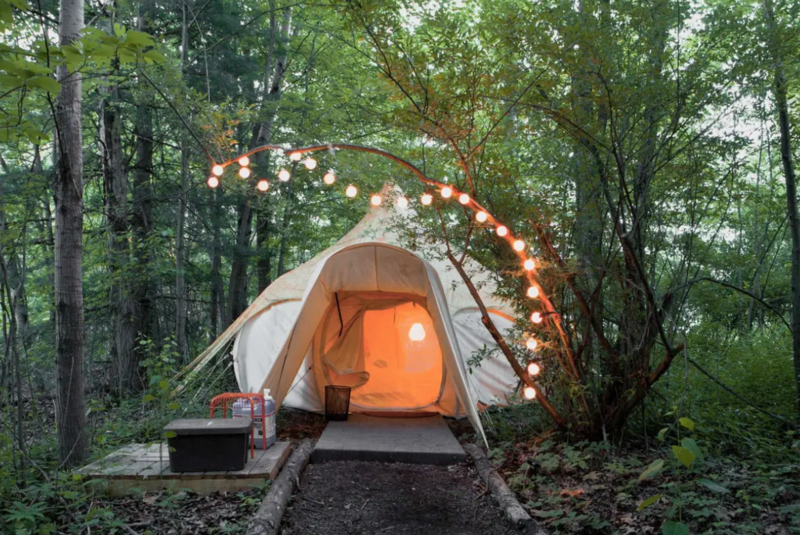 Who wouldn’t want to live one with nature nestled among the tree tops? 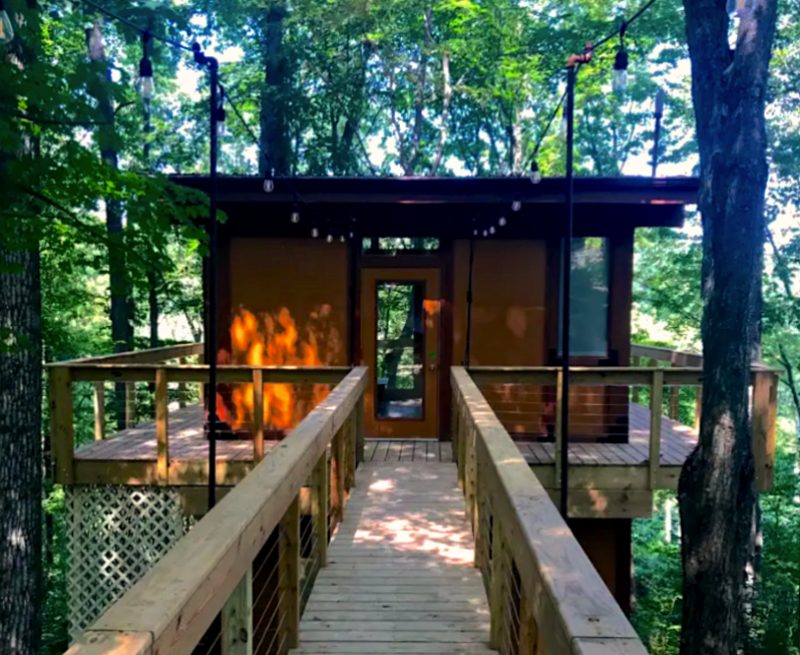 Treehouses aren’t just for kids, and for Ohioans that are still kids at heart these homes are for you! 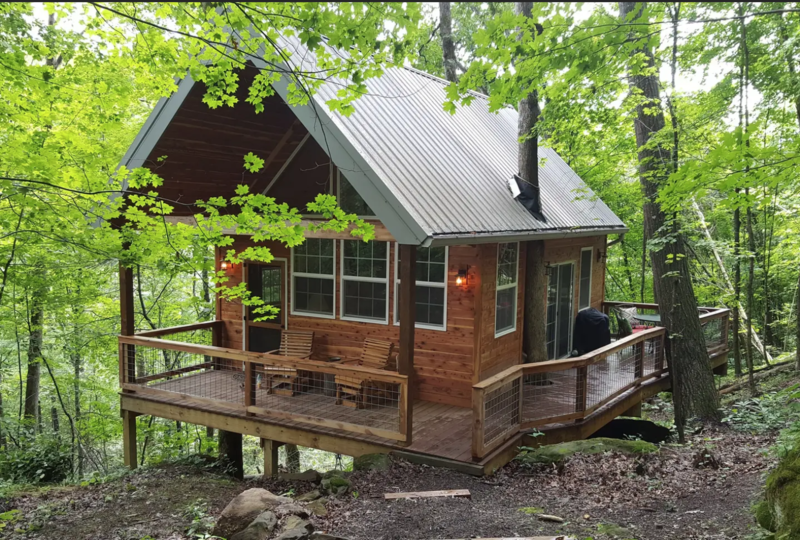 In case you have a fear of heights or just prefer to keep your feet on the ground, you don’t need a treehouse to commune with nature. 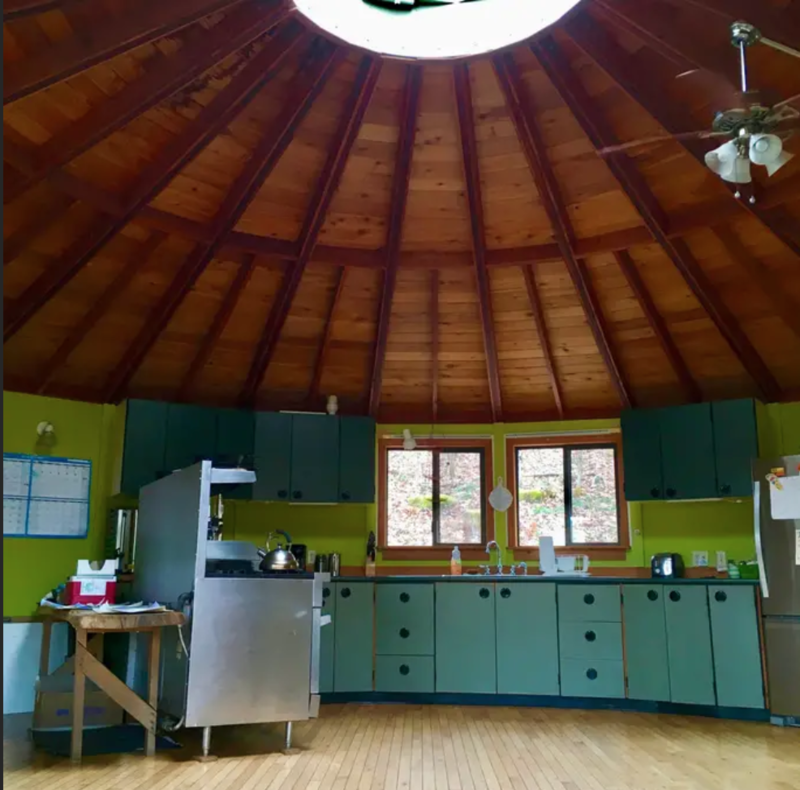 This Earthstar state-of-the-art monolithic dome is located in Highland Nature Sanctuary surround by 2600 acres of trails and a forest museum. May be you’re yearning to be down home on the farm? 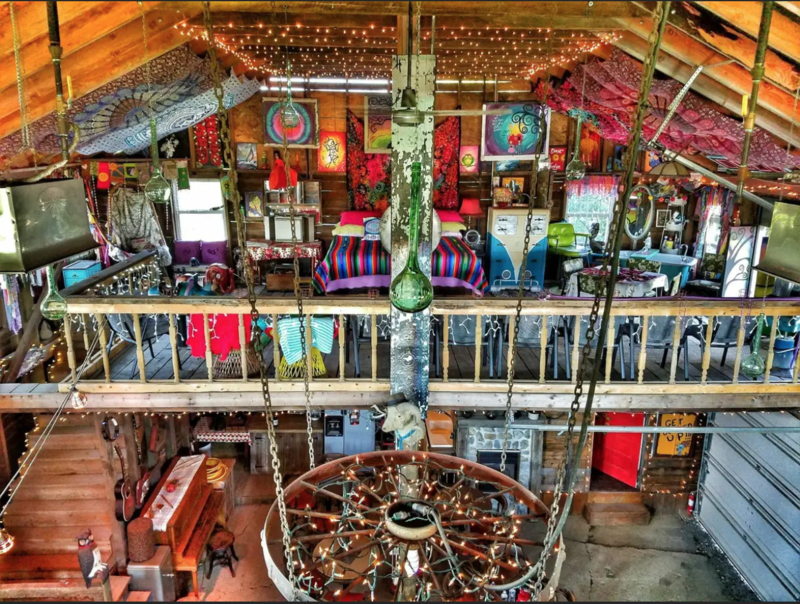 This whimsical renovated barn is full of quirky touches that make this home one-of-a-kind. 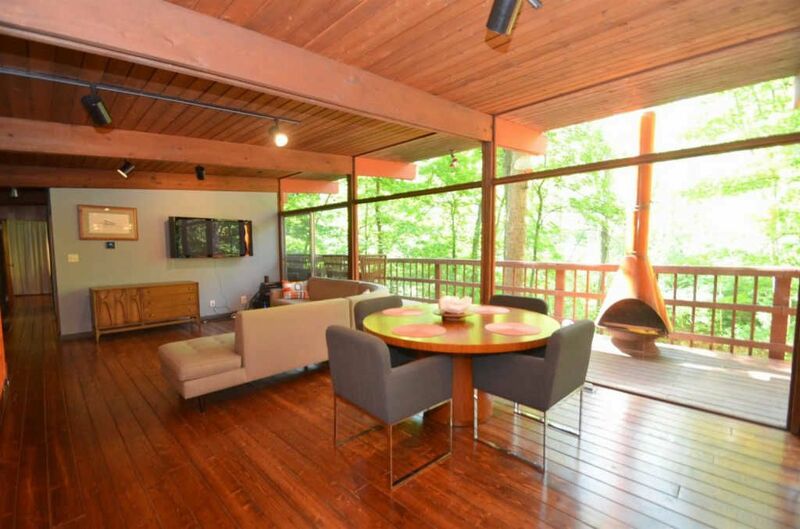 Mid-Century Modern architecture is full of minimalist modern beauty with organic and geometric details. 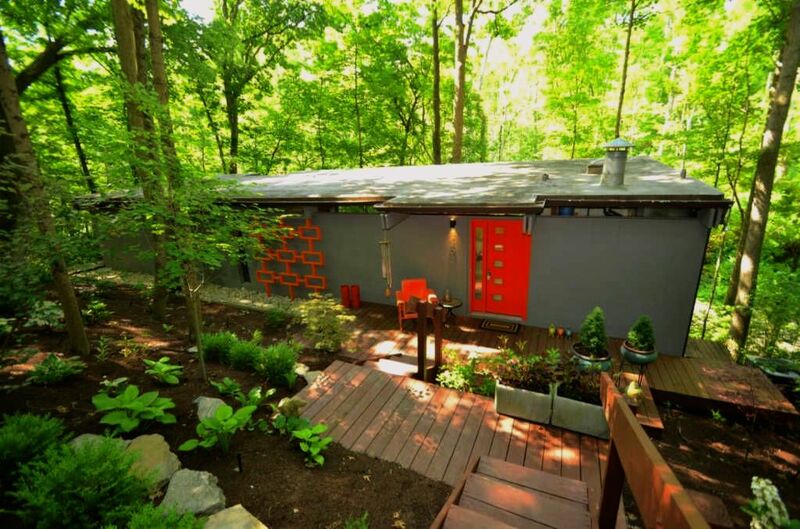 Finding a well preserved Mid-Century Modern home is a gem, here are a few found here in Ohio. Not all mansions are created equally! 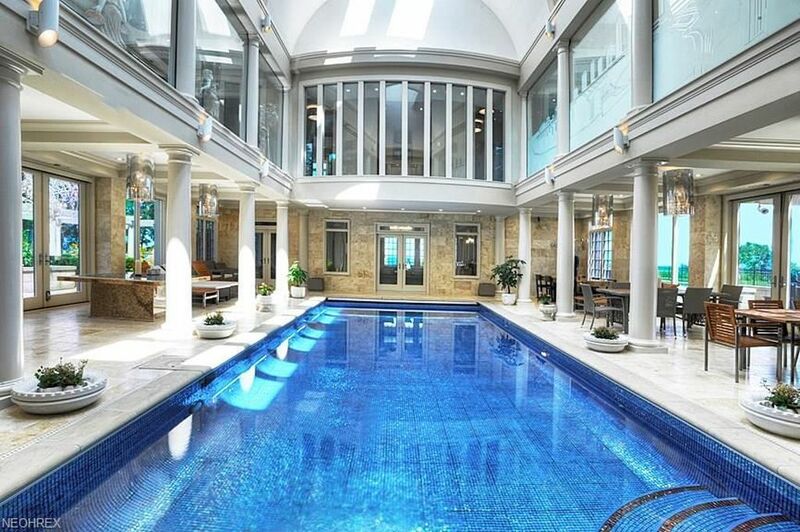 Nothing can top the ultimate in unique luxury than an indoor pool. What better way to start your day than with a few laps in your own gorgeous indoor pool? This Westerville home has many luxurious details, but the indoor pool under 45 ft cathedral ceilings in its most unique feature. 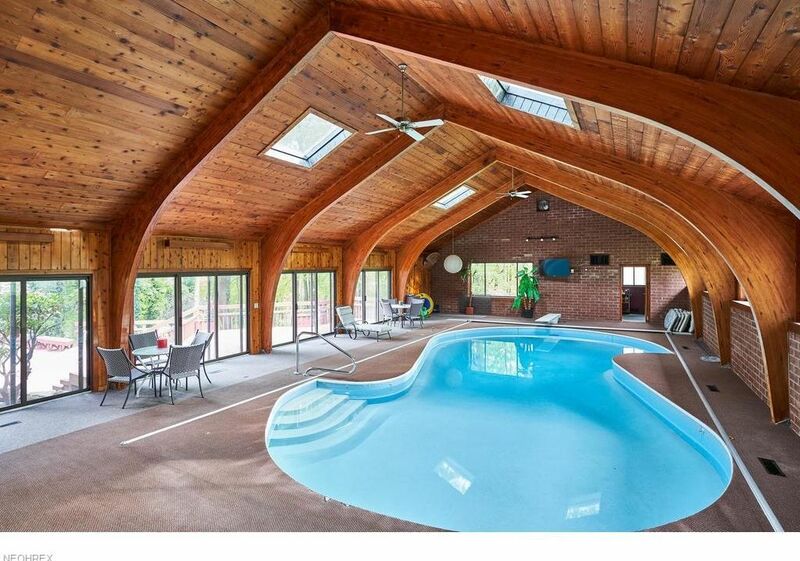 This contemporary home has many quirky (albeit dated) elements but the highlight of this home is its unique indoor pool. 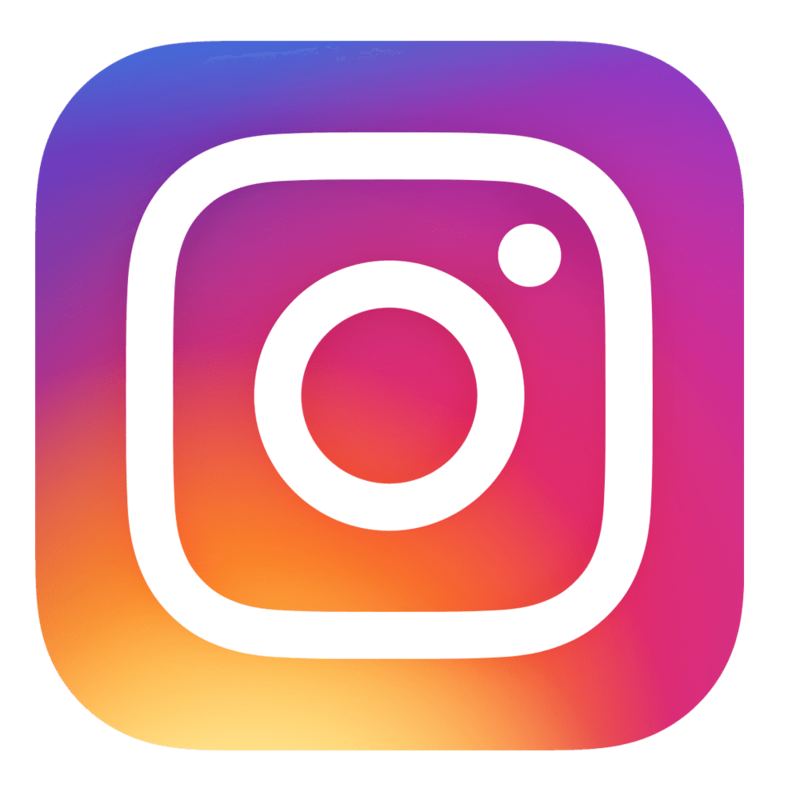 If you’re inspired to find a unique home of your own in Ohio, check out our current available listings!